High-end fans, vacuum cleaners and Airblade blow dryers – this is what Dyson is best known for. With its history, no-one was surprised that the British company turned its attention to the humble hairdryer. Even though it’s marketed to be lighter, slimmer, and quieter than any other hairdryer currently on the shelves, the Dyson Supersonic will also make a small whole in your pocket. The brand new bedroom accessory is priced at £300, so maybe you’ll think twice before buying it when it goes on sale in June. The company has yet to announce the U.S. or Australian launch plans, but the equivalent of that sum is around $440 or $AU570. 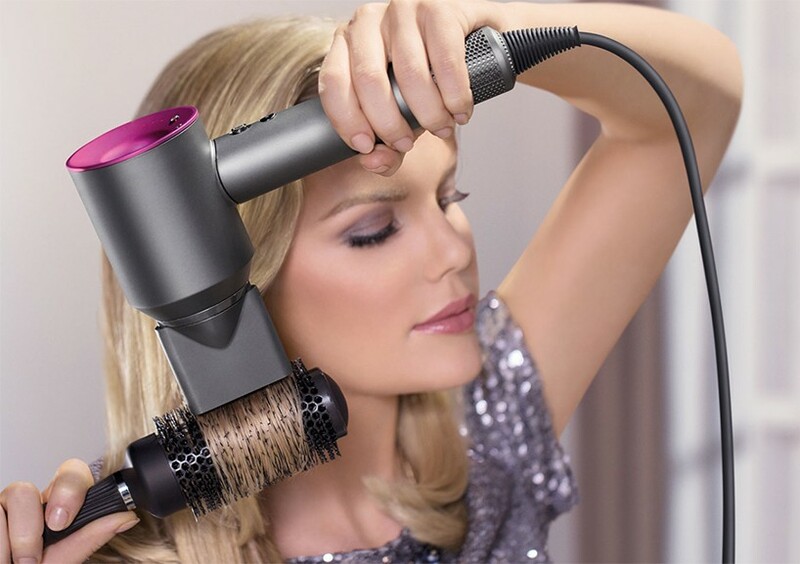 Most hairdryers on the market feature the air-generating tech in the head of the device, but not Dyson’s. The Supersonic has incorporated its own-brand motor into the stalk instead, a look Dyson has made popular in its range of blade-free desk fans and heaters. The new hairdryer is a new outing for Dyson’s Air Multiplier tech, which helps push the air at an impressive speed for such a small device. At the same time, it’s also rather quiet, emitting more of a persistent hiss than the loud roar made by many hairdryers. If you buy the Supersonic, you can experiment with three nozzles it comes with, all of whom stick to the dryer’s end through the power of magnets. The extra heads include a diffuser for dispersing air more broadly and a smoothing nozzle for gentler drying. The hairdryer also features a number of controls and buttons on the rear side of its head. With the help of mechanical keys, users can choose between three airflow settings and four heat settings. It has never been easier to tailor the hair-drying experience; you can also lock your up-do in place with a blast of cold air too – there’s a button for that. It’s also really easy to get excited by Dyson’s Supersonic, a capable hairdryer that has crossed in the realm of unusual bits of gadgetry. That is, until you find about the wince-inducing price tag. As we’ve said before, Dyson will start selling it in the UK for £300, which is drastically more expensive than other high-end rival dryers. You can buy a hairdryer from respected brand Parlux for less than a third of that, for instance. Whether Dyson’s tech can deliver the desired results at such a high cost remains to be seen, but if you’re one to fuss a lot over their hair, you might be interested in this new take on the established bit of household tech.